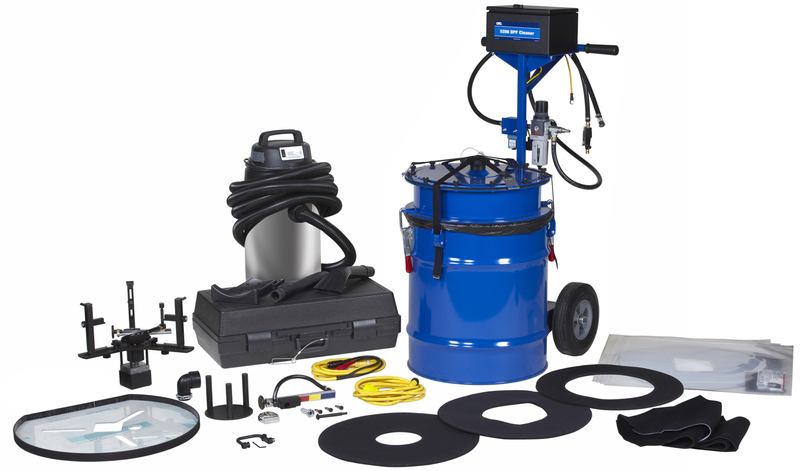 • Lightweight and Highly Portable - ideal cleaning system for use in the shop or on a service truck. • Flexibility - clean DPFs from 6" to 15.5" in diameter using shop or compressed air of at least 100 PSI and 20 CFM sustained airflow. • Fully Automated Operation - once started, the cleaning process can be completed with minimal operator oversight, freeing up the technician to simultaneously do other work in the shop. • Focused Air Jet Technology™ - concentrates a precise high pressure stream of air directly into every cell. • Easy Maintenance - contains no internal filters that require user maintenance. • Rugged design provides maximum durability.